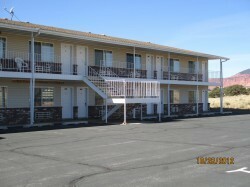 800-863-3288, 435-425-3335, fax 435- 425-3434 www.austinschuckwagonmotel.com 12 West Main, Box 750180, Torrey, UT 84775. Open Mar 1-Nov 30. 24 rooms. AAA, newly built, immaculate large rooms, digital, color, remote, 25" TV, dial phones, individual heat/ac. Beautiful pool & spa. Quiet, safe. Bakery, Laundromat. Rates: $39 - 125. 888-447-4676, 435-425-3398, fax 435- 425-3378 2523 East Hwy 24,Box 339, Torrey, UT 84775. Open Mar-Nov.
A taste of the old West. 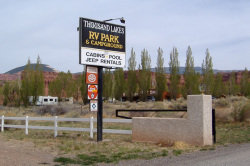 Closest motel to Capitol Reef National Park. Panoramic views. Pets $10. Rates: $59-79 seasonally. Reds Sands Hotel is Clean. Quiet. Comfortable. Beautiful views compliment our hotel. Enjoy our indoor heated pool, and hot tub, free wireless high-speed Internet access, guests laundry facilities, and free long-distance phone calls, cable TV, and a complimentary breakfast with fresh hot waffles, boiled eggs, cereals, toast, fruit, coffee and juice. 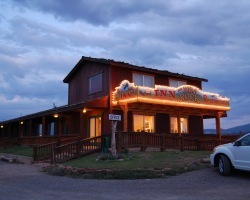 rooms available with 2 queens, single queens or king beds a full suite with hot-tub is also available . We love dogs, so they can stay free too (certain restrictions apply). Book on our website now or call for current specials. 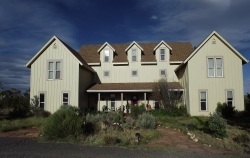 800-205-6343, 435-425-3322, fax 425-3329 www.redriverranch.com 2900 West Hwy 24, Box 69, Teasdale, UT 84773. Open year around. Fifteen rooms. Old style log lodge. Fireplaces, balconies, antique furnishings and western art. 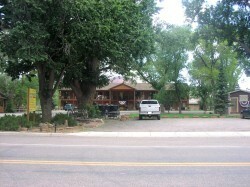 Restaurant, gift shop, fishing and hunting. 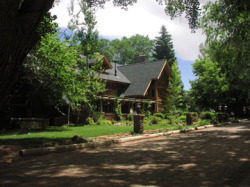 One of Travel & Leisure's "25 Best American Lodges." Chosen as a feature and where to go next in San Francisco magazine. 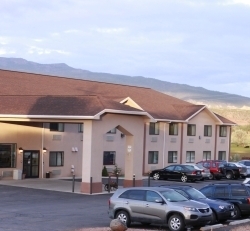 1092 East Highway 24 Torrey, Utah 84775 435-425-3222 or 435-491-0810. SkyRidge has been recognized by National Geographic Traveler and Sunset Magazine as one of the best near Capitol Reef. SkyRidge is only minutes from the Park entrance. With mouth-watering breakfasts, outstanding service and spectacular views of Capitol Reef from every artfully decorated room, you see why so many of our guests find their way back here year after year.